I went to the Lake District to photograph Sarah Weldon; YouTuber and founder of Oceans Project. Oh, and her dog, too. Her dog is adorable. I seem to be travelling a lot for my work this year, which I don't mind at all. I went to Felixstowe to shoot Lauren Sowter, then to the Lake District, and quite recently up to Leeds to capture DeeDee Louise (stay tuned for that). I think documenting a client in their hometown makes the images that bit more special, like you're gazing at their roots and the place that shaped them into a person. That being said, when I booked my train ticket I was hoping the weather would have been slightly better. It literally didn't stop raining from the moment I woke up that morning until I got home later that evening. I got soaked. Sarah got soaked. Sarah's poor little dog got soaked. I managed to take photographs while somehow holding an umbrella over my head at the same time, but I was pretty worried about my camera at one point - though somehow, it survived. One positive outcome from the weather being absolute crap, was that it added some real atmosphere to the images. We started out in the woods and made our way up various hills. I used the Sigma 30mm f/1.4 and Canon 50mm f/1.8 lenses (both are the only ones I bring with me for portrait shoots) so I was able to get a nice mix of headshots, as well as some more conceptual pieces where you could appreciate the beautiful scenery in the background. After we got sufficiently drenched, we took shelter in a café in a nearby village, then got back to work. Whenever I do a shoot, I like use a mix of backdrops to give variety to the images. This means that Sarah can use the different pictures in different projects. By this point, there was no way Sarah could put the umbrella down, so it became part of the shoot. Even though it was unintentional, I still think it adds to the British charm of the photos - after all, you don't think of a rural village in the English countryside without thinking about umbrellas and wellington boots. When I got home that evening, my clothes were wet and my hair desperately needed a wash - but despite the weather we'd managed to have a very successful shoot. The images are different to anything I've ever done before, and I loved the challenge. 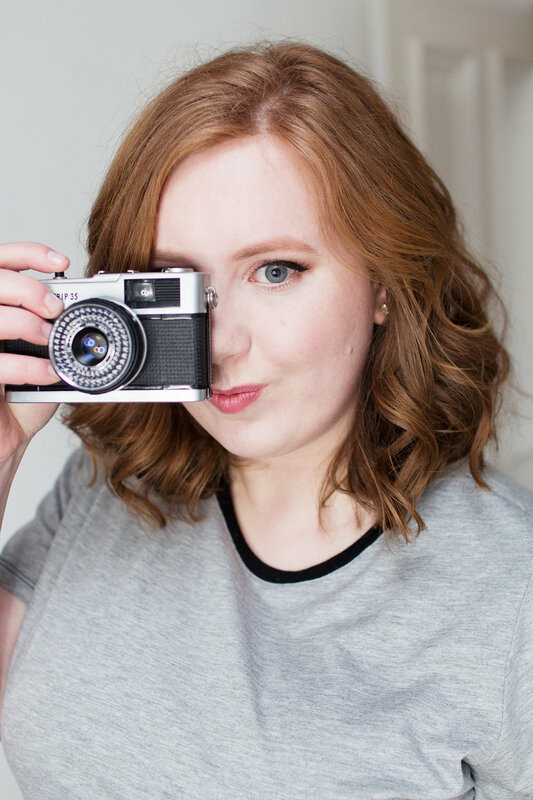 I'll be publishing some photographs from another shoot soon so keep your eyes out for that post - follow me on Bloglovin to stay up to date! And let me know in the comments if you've ever been rained on in the countryside.